A throwback of Giger from 2011. 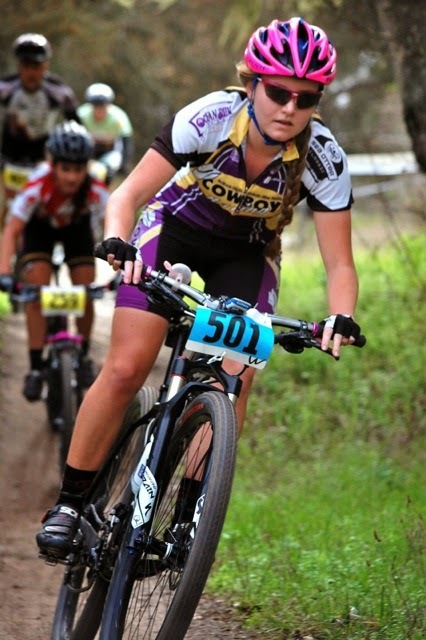 In an attempt to become well acquainted with the 2014-15 Cal Poly San Luis Obispo Wheelmen community, Madison Giger marks the fourth rider spotlight. The following information was provided as a set list of questions, which Giger promptly answered. All responses are unedited. Second year as a WHEELIEEEE! Mountain all the way…and I guess a little road. But I definitely have to be in the mood to even get my leg over my road bike. Kinesiology…fitness classes…cant get much better than that. I go through fazes but my roommate and I can always get down to Timber. Well…I would love, love, love either but I can’t eat them because I’m one of those weird gluten free people so I can’t answer that one. Anything outside: hiking, backpacking, water polo, running (but only when my roommate can talk me into it), and eating…a lot of eating.